This is the latest version of Pillo app's design. 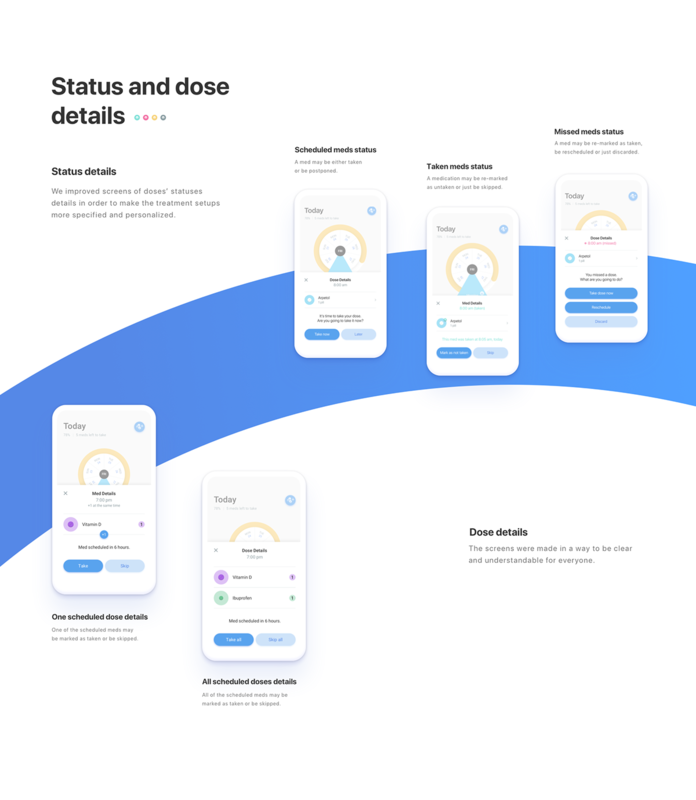 415Agency had a great experience re-creating the interface of Pillo Health application, which accompanies people on their way of medications treatment whether with an intelligent robot or on it’s own. 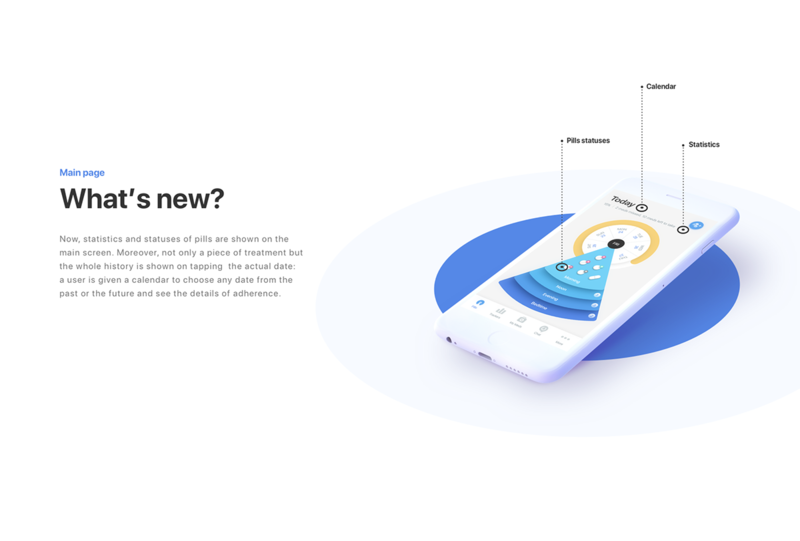 With time flowing, the application is being widely spread and used among people of different ages and states, so we could gather feedback and reviews and build basis for new, improved design of Pillo App. 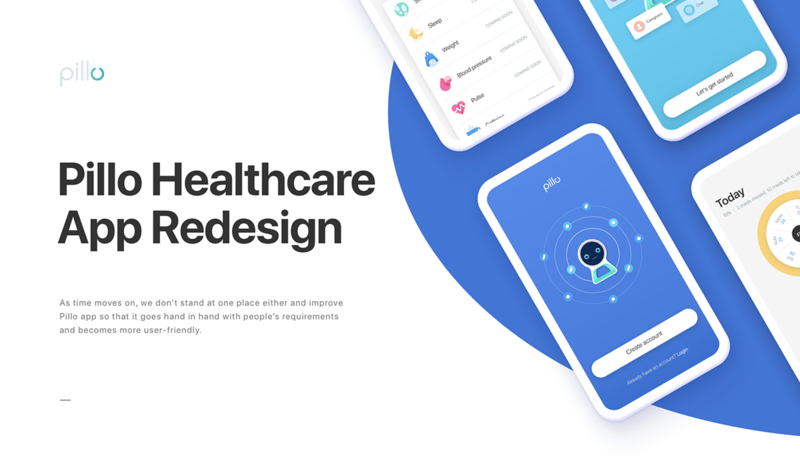 People tend to associate treatment with minimalism, pale colors, restrains and strictness — everything which we tried to get rid of, in order to create a community, make healthcare fun, easy and positive. 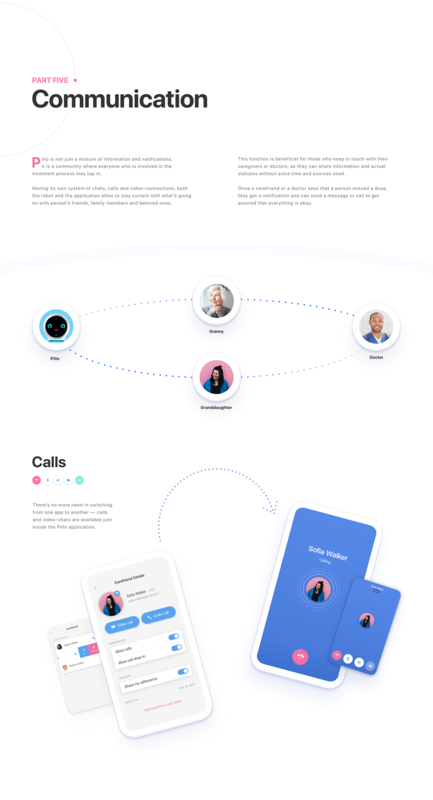 The interface was done considering psychology, so we used eye-catching elements together with the latest trends in UI design to induce positive emotions, put emphasy on what's really important and create a friendly environment with analogies people recognize. We kept Pillo's personality in mind and strived to create not just a personal reminder, but a companion who cares.